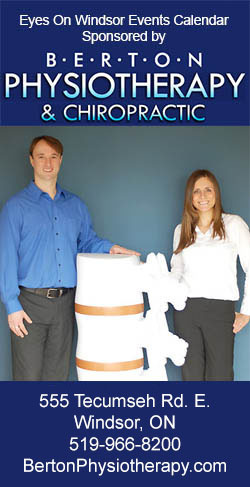 Posted on November 7, 2018 by Eric Bonnici wrote in Community Events. It has 0 Comment. We’ve put together a list of Remembrance Day ceremonies, services and events happening around Windsor Essex in this Remembrance Day Events Guide. Each year on November 11th Canadians pay tribute to those in the military who made sacrifices, served and continue to serve our country in times of war and peace. All are welcome to join in honouring their contributions to the freedoms we hold dear here in Windsor Essex and across the country. At sunset on November 11, the bells will ring at Parliament Hill, city halls, places of worship, military bases, Naval vessels and at ceremonies across the country to honour Canada’s Veterans and commemorate the end of the First World War. The ringing of bells emulates the moment in 1918 when church bells across Europe tolled as four years of war had come to an end. Come honour the fallen and those who have served or currently serve while we remember the horror of war and encourage a world of peace. Remembrance Day ceremonies will be held at community cenotaphs and war memorials and other public places. Two minutes of silence, the playing of the Last Post, the recitation of In Flanders Fields, and the wearing of poppies are usually part of these Remembrance Day ceremonies. The Riverside Royal Canadian Legion Branch 255 will be holding a Remembrance Day Ceremony and Parade at the Riverside Cenotaph located at the old Riverside Area location/new Riverside Miracle Park. Join the community at LaSalle Cenotaph Park located outside the LaSalle Civic Centre for the town’s annual Remembrance Day ceremony. Join the Windsor Peace Coalition at 7pm with for movie night featuring the film “Outskirts”, set in Russia during the war years 1914-17, at one ten park, located at 110 Park St. West. The Essex Municipal Heritage Committee, in collaboration with the Canadian Transportation Museum and Heritage Village, present “100 Years Worth Remembering” in recognition and celebration of the end of World War 1. This free event, features the Souterrain Impressions exhibit, a collection of reproduced World War 1 cave carvings which were made by Canadian soldiers as they waited to move to the forward trenches before the historic Battle of Vimy Ridge in 1917. The Windsor Symphony Orchestra Intimate Classics Series 1918 Remembered is a moving Remembrance Day program that commemorates the 100th anniversary of the end of the First World War. This is a tribute to those experienced the horror and devastation of the Great War and begins with a pre-concert talk at the Leamington United Mennonite Church. Join the Windsor Peace Coalition during their weekly anti-war picket from 11 am to noon, this week’s theme is Remembrance as Never Again! and what that means today. The picket takes place in front of the entrance to Jackson Park. 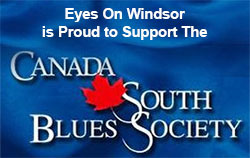 A parade will march from Dieppe Gardens on Riverside Drive to Windsor City Hall Square. Members of the community will come together at the Windsor Memorial Cenotaph to honour the men and women of the Canadian Military, past and present at the annual Remembrance Day Ceremony hosted by the HMCS Hunter. Join Royal Canadian Legion Fort Malden Branch 157 for what is expected to be the largest Remembrance Day parade, memorial service and wreath laying in Amherstburg since the ending of World War II. A Remembrance Day Ceremony takes place at the Comber Veterans Memorial Gardens. Join the community at the Cenotaph located in Veterans Memorial Gardens in Comber and pay tribute to those who sacrificed and currently serve in the Canadian Military. Bells for Peace initiative will be observed by the St. Andrews United Church in Comber with the ringing of the church bells 100 times at dusk (5:15pm) to commemorate the ending of WW1. A parade will march from the Royal Canadian Legion, Branch 399 on Notre Dame St. to the Belle River Cenotaph for the town’s annual Remembrance Day Ceremony. The Town of Essex Remembrance Day parade, church service, and wreath laying ceremony takes place at the cenotaph at Essex United Church. Royal Canadian Legion Harrow Branch 338 (Colchester) will hold a Remembrance Day parade and service. Those participating in the parade will form up at the Legion located at 41 McAffee Street at 1pm. The parade will March off at 1:15pm winding through downtown Harrow and arrive at the Cenotaph located at the parkette (Veterans Memorial Park) for the service. The Kingsville Legion will join with members of the Kingsville community to remember those veterans who gave their lives in war and during Canadian peacekeeping operations. A dinner will also take place in the evening. The Windsor Symphony Orchestra Intimate Classics Series 1918 Remembered is a moving Remembrance Day program that commemorates the 100th anniversary of the end of the First World War. 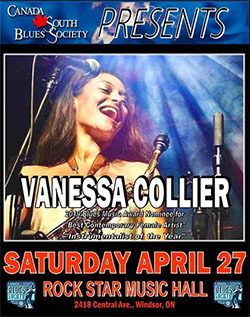 This is a tribute to those experienced the horror and devastation of the Great War and begins with a pre-concert talk at the University of Windsor’s Assumption Hall. Following the Remembrance Day service in Windsor join the Windsor Peace Coalition Open Studio Reception at one ten park for a cultural program with poetry readings and other forms of remembrance. 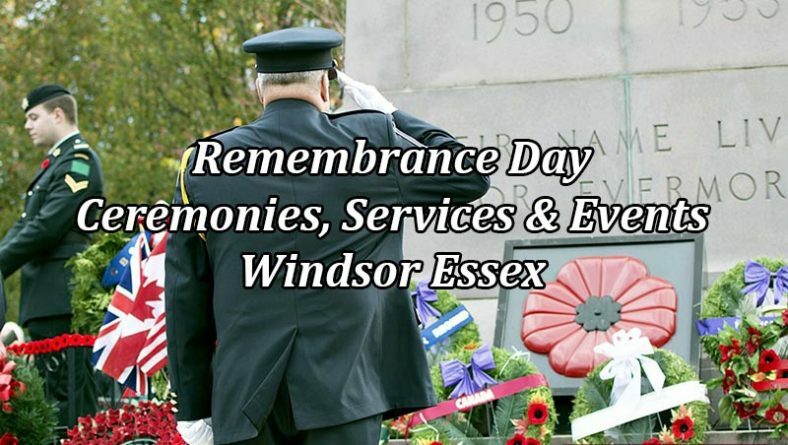 Do You Know of Any Remembrance Day Ceremonies or Events Happening in Windsor Essex County? 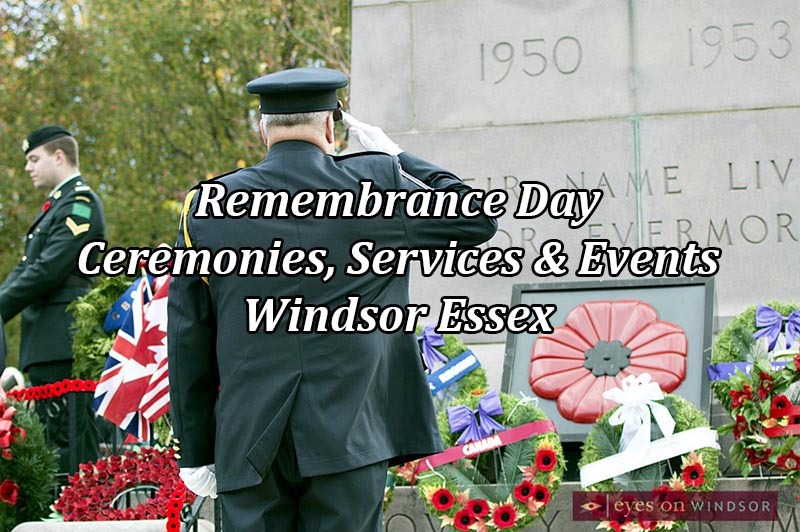 If you know of any Remembrance Day Ceremonies, Services, or Events happening in Windsor Essex County that belongs on this list feel free to email the details to eric@eyesonwindsor.com for our consideration.